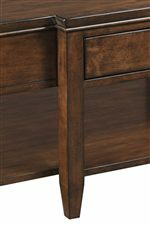 Built from solid Appalachian maple and colored with a richly colored wood finish, this sleigh bed boasts quality and a classic look that will stand the test of time. Whether you are furnishing a guest bedroom, kid's room, or master bedroom, this lovely sleigh bed is a cozy bedroom centerpiece that offers scores of room decorating possibilities. 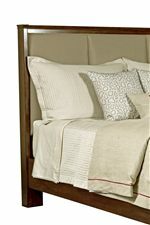 The sleigh-style bed is cleanly styled with simple lines and beveled paneling. 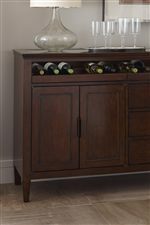 Available with or without footboard storage drawers. The Elise Caris Queen Sleigh Bed with Storage Footboard by Kincaid Furniture at AHFA in the area. Product availability may vary. Contact us for the most current availability on this product. 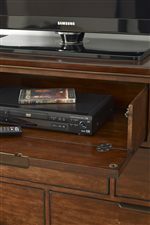 Storage Queen Storage Footboard with Two Drawers, King Footboard with Three Drawers.